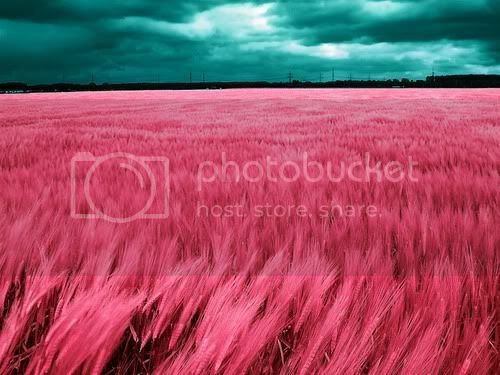 what if grass was pink? I recently watched Chitty Chitty Bang Bang (one of my absolute faves) and remembered why it is so magical. "Fantasmagorical" is exactly RIGHT! It also got me thinking about G.K. Chesterton (I like to call him GK or Gilbert) because I finished Orthodoxy not too long ago and it's been on my mind ever since. In the book, he essentially debunks the current philosophies contrary to Christianity, but he takes a very charming and unorthodox route - by way of his own story. I am the absolute worst summarize-r, so I am just going to give you a few nuggets (as my friend Becca would say). Chesterton compares the tales of the childhood nursery with the mature practicality we are expected to grow into as we age. This world (we are taught) is a place where pigs can't fly, pumpkins are never carriages, and grass is the color green. These things are true because they just are and we must believe them because not believing them would not make them any less true. I agree with Chesterton when he says this mature practicality is unbelievably boring and I simply refuse to grow into it. Sure, the grass is green. Sure, the fact that it is green is explainable by pages of science and double-checked research. But where is the magic of the nursery rhyme? Of the beanstalk that reaches the sky? Magic has no place in reality, you say (followed by "you poor, ignorant fool" under your breath). This is where I like GK so much. Here he explains we can indeed be certain of some things, by way of reason, but that does not lead us to believe all things in the same way. There are certain sequences or developments (cases of one thing following another), which are, in the true sense of the word, reasonable. They are, in the true sense of the word, necessary. Such are mathematical and merely logical sequences. We in fairyland (who are the most reasonable of all creatures) admit that reason and that necessity. For instance, if the Ugly Sisters are older than Cinderella, it is (in an iron and awful sense) NECESSARY that Cinderella is younger than the Ugly Sisters. There is no getting out of it. Haeckel may talk as much fatalism about that fact as he pleases: it really must be. If Jack is the son of a miller, a miller is the father of Jack. Cold reason decrees it from her awful throne: and we in fairyland submit. If the three brothers all ride horses, there are six animals and eighteen legs involved: that is true rationalism, and fairyland is full of it. But as I put my head over the hedge of the elves and began to take notice of the natural world, I observed an extraordinary thing. I observed that learned men in spectacles were talking of the actual things that happened—dawn and death and so on—as if THEY were rational and inevitable. They talked as if the fact that trees bear fruit were just as NECESSARY as the fact that two and one trees make three. But it is not. There is an enormous difference by the test of fairyland; which is the test of the imagination. You cannot IMAGINE two and one not making three. But you can easily imagine trees not growing fruit; you can imagine them growing golden candlesticks or tigers hanging on by the tail. Chesterton was observing that people were taking this "reason" and applying it to all things in the natural world as if they were "rational and inevitable." How dreadful - that everything would have a perfectly good explanation! GK goes on to explain how imagination helps us marvel at all the pieces that don't fit together - everything is not here by some rational calculation. The grass is green, but it could have been PINK or blue for that matter. Things (material and otherwise) are as they are, but it could have turned out in a zillion different ways. Who are we to say that when we cut a tree it has to fall? God could have chosen to make it float or melt or disappear. I love this comparison to Crusoe that Chesterton uses to bring back some of the wonder we should feel at every thing revealed in Creation. But I really felt (the fancy may seem foolish) as if all the order and number of things were the romantic remnant of Crusoe’s ship. That there are two sexes and one sun, was like the fact that there were two guns and one axe. It was poignantly urgent that none should be lost; but somehow, it was rather fun that none could be added. The trees and the planets seemed like things saved from the wreck: and when I saw the Matterhorn I was glad that it had not been overlooked in the confusion. I felt economical about the stars as if they were sapphires (they are called so in Milton’s Eden): I hoarded the hills. For the universe is a single jewel, and while it is a natural cant to talk of a jewel as peerless and priceless, of this jewel it is literally true. This cosmos is indeed without peer and without price: for there cannot be another one. This might be too much for your Sunday afternoon. I get it. But, if your imagination is rusty enough that you can't picture purple grass, I'd challenge you to a duel. I would say you can bring your reason and I'll bring my imagination and we'll see who is standing at the end of a little tussle. Or maybe I should say, we'll see who is smiling. I don't know... it's just these things I'm thinking about on a Sunday afternoon. I'm loving the grass not because it had to be green, but because it could be so many other colors. What are your thoughts, friend? What color can you imagine the grass in your yard today? If you wonder what all this GK stuff is about, check out Orthodoxy online!